Spacious THREE BEDROOM GROUND FLOOR FLAT situated in a popular residential area and close to Town Centre, primary and secondary schools, all main bus routes and motorway network, enabling excellent commuting throughout Central Scotland. Viewing recommended. 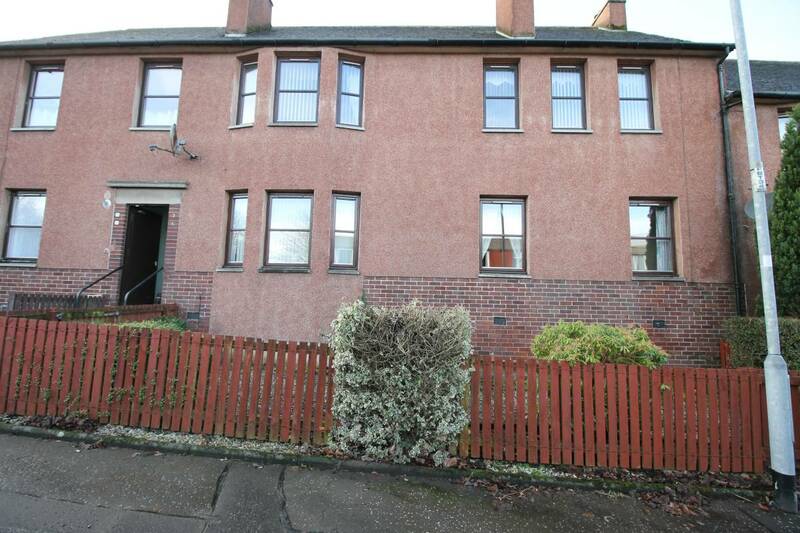 Spacious THREE BEDROOM GROUND FLOOR FLAT situated in a popular residential area and close to Town Centre, primary and secondary schools, all main bus routes and motorway network enabling excellent commuting throughout Central Scotland. Viewing recommended. The property comprises a generous lounge, kitchen, three bedrooms and a bathroom. The property benefits from ample storage and is double glazed throughout. There is a private, landscaped garden to the front of the property and a communal garden with a designated drying area to the rear. There is ample road side parking to the front of the property. Lounge : 14'2" x 11'3"
Kitchen : 11'0" x 8'1"
Bedroom one : 11'4" x 11'1"
Bedroom two : 12'3" 8'1"
Bedroom three : 11'4" x 7'2"
Shower room : 8'1" x 4'7"